And just like that, another year is winding down. Once again, we’ve come to the Month of Reflecting. It’s always good to look back at lessons learned, goals achieved and milestones reached. It’s useful to review accomplishments, triumphs, successes as well as failures to identify where to focus energy over the next 12 months. We’ve put together a collage of memories and moments over the past 12 months in the life of RVTS. The highlights of 2018. 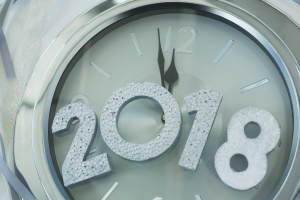 At RVTS, we can look back on 2018 as another year of successful workshops, webinars, CTVs, training reviews, supervisor interactions, exams and more. Reflecting is integral to learning and growing. We encourage critical reflection in medicine. We teach it to students, encourage it in registrars and continue practicing it throughout our careers. The first step in “Reflecting” is awareness – taking note. Then critical analysis: what happened and why. What contributed to the outcome. And finally, review the new perspective that emerges, based on the reflection. Critical reflection is a reasoning process to make meaning of an experience. And what an experience 2018 has been! Becoming aware of the different elements and events, analysing them, and reflecting will help in making 2019 the best year yet. 2019 has a whole new set of challenges, and we’ll be ready for them, building on the firm foundation of lessons learned from the past. Enjoy the memories, and let them inspire you to greater things in 2019! Great video thanks Ronda. It’s good to reflect – so many smiling faces in the photos.